The Spark Arena in Auckland certainly lived up to its name at an electric night on New Zealand’s North Island. The crowed buzzed with an energy that Yusuf and the band had to meet head-on in a clash that might have be better suited to the rugby field, but only in the friendliest of matches. 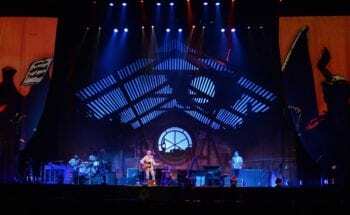 To an audience, that turned out to be one of the most adoring all tour, Yusuf made constant gains with hit song after hit song, all the while disarming them with anecdotes from his dynamic and fascinating life. 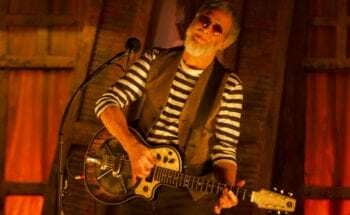 The Kiwis seemed not only to fully appreciate the considerable effort that it takes to be touring in their country but also the effort that Yusuf puts into every single note. 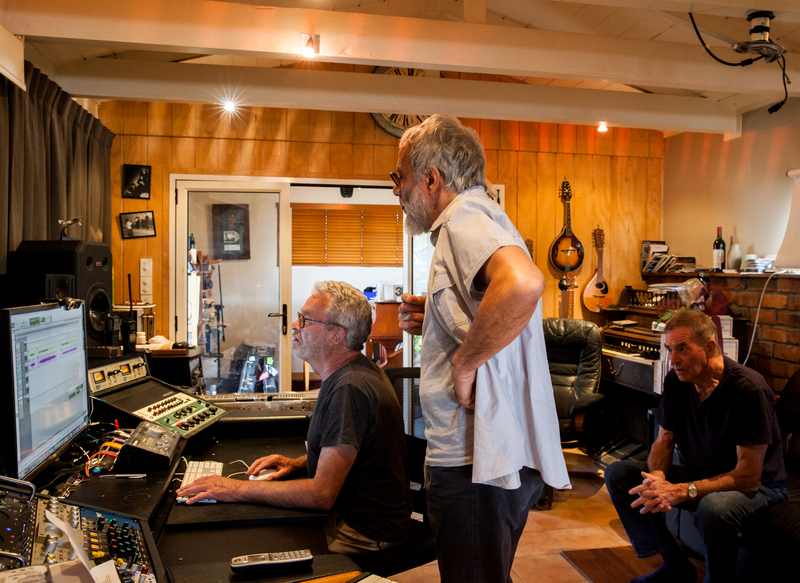 There’s also a level of integration to New Zealand’s melting pot culture that chimes with Yusuf’s message of unity, setting the tone for a wonderfully harmonious evening. Much of the day was taken up with a boat ride across emerald waters to Devonport where Yusuf and Alun met up with Bruce Lynch. A New Zealander born and bred, Bruce played bass on Cat Stevens albums from 1974’s Buddha And The Chocolate Box onwards and was also part of the touring band for that period. Both Yusuf and Alun were both visibly buoyed to be in the company of their old friend. In Bruce’s waterfront studio Yusuf recorded a version of “Cup Of Tea” which he originally wrote with friend Paul Ryan in 1967. The intro of the song has a distinct Ray Davies feel to it and it was brilliant to see the three old band mates in the studio once again. The recording will feature on an advert back in the UK for the Penny Appeal charity to support a campaign urging care for the elderly during the cold winter months. Later on, watching the track be put to the video footage, I was struck by how closely the song’s lyrics fit with the images. I’m encouraged to hope that the appeal will help to make a real difference in the lives of many vulnerable and lonely people. The Spark Arena’s steep auditorium compresses the crowd’s energy and directs it at the stage. Yusuf strode out into this force and strummed the intro to “If You Want To Sing Out, Sing Out”, featured on Hal Ashby’s 1971 cult-classic, Harold & Maude. He followed swiftly with “Oh Very Young” and then “The First Cut Is The Deepest”, leaving the fans delirious. Earlier in the day, whist Yusuf was signing posters, I got the opportunity to ask him about the next song in the set, “People Get Ready”. It was written by Curtis Mayfield while in The Impressions. 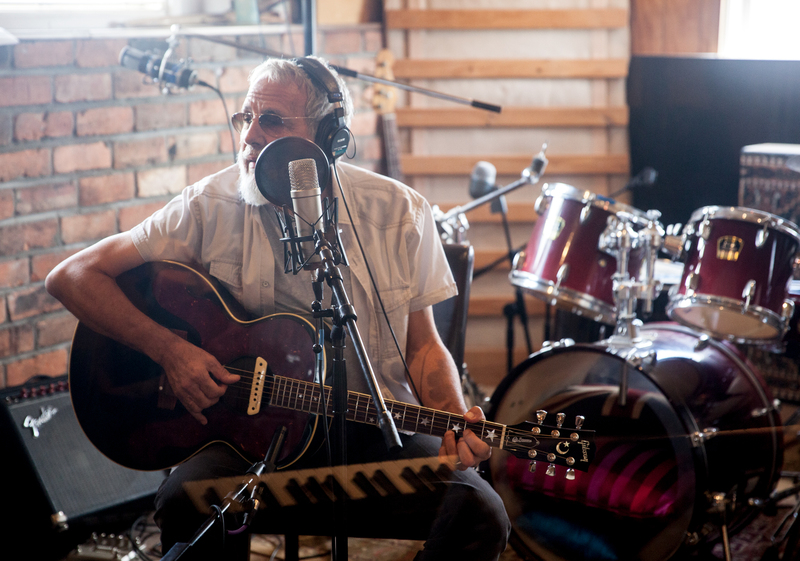 Yusuf mentioned that he wasn’t quite sure where he’d first heard it but felt that the lyrics suited his imagery. With lines like “People, get ready there’s a train a-coming” and “All you need is faith to hear the diesels humming” you can’t really argue. Plus, he agreed when I commented that it suited his voice. 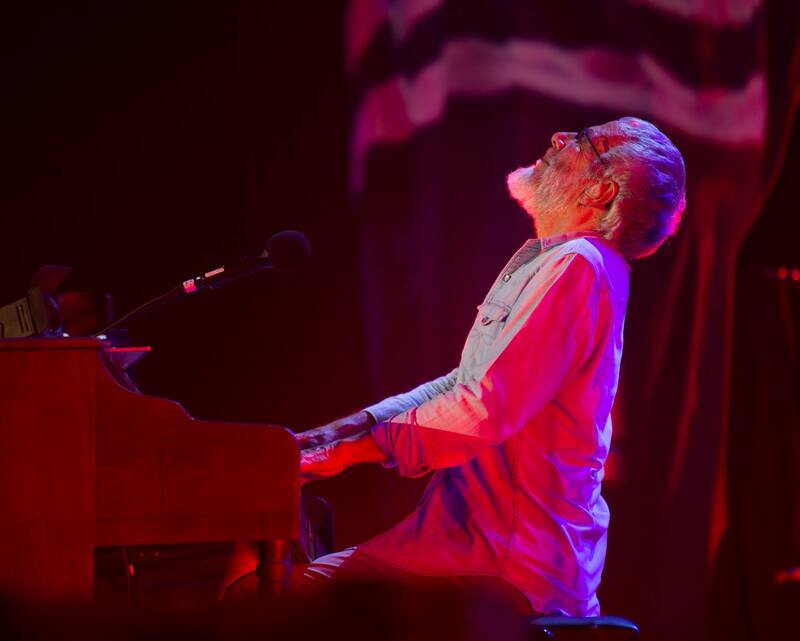 Next, Yusuf took maximum points with “Moonshadow” and when you realise that we’re not even in sight of the mighty “Peace Train” it’s easy to see why the tour has been so incredibly well received. 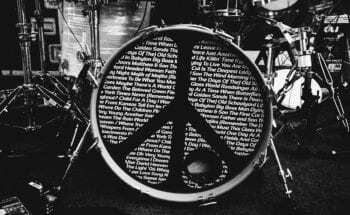 By the end of the night, with “Wild World”, “Father & Son” fresh in their ears, the Auckland masses, who had more than played their part in a tremendous encounter, were standing on the platform waving and cheering joyously at the “Peace Train”. 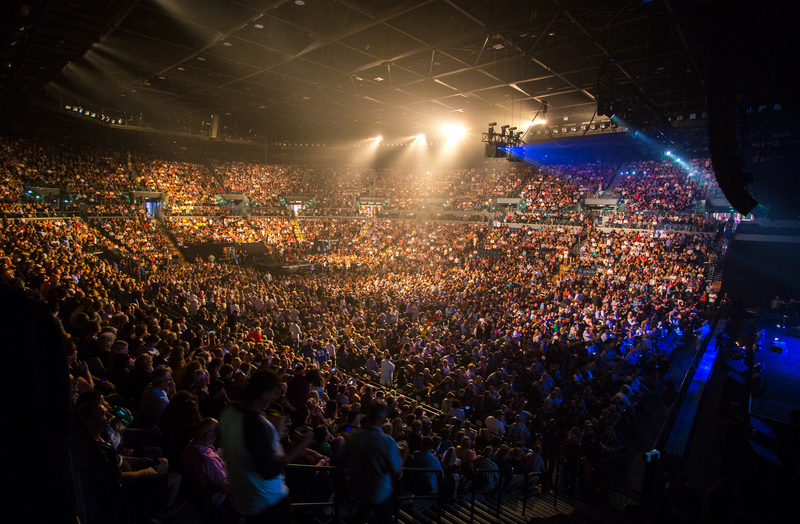 I know Yusuf will be energised for the second night at the same venue and that he’ll also be looking forward to enjoying New Zealand’s abundant beauty.